4979 Wootton Hall, Appleby, 27 August 2008. 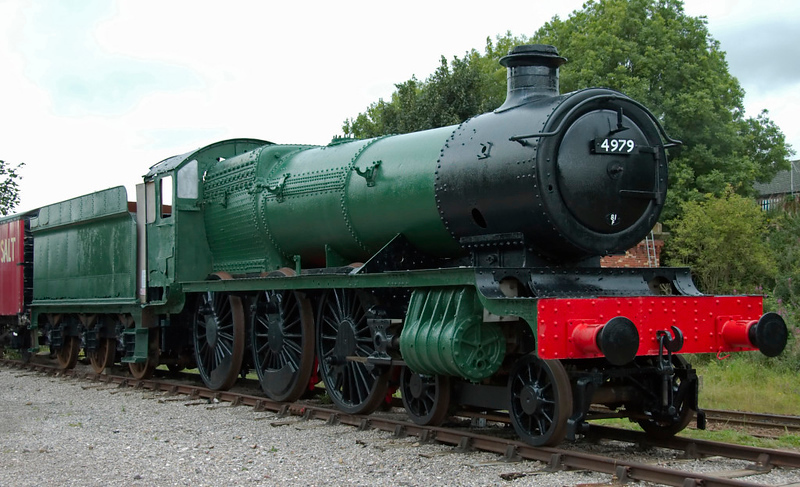 4979 was built at Swindon in 1930 and withdrawn in 1963. Like 5643 it went to Barry, but did not leave until 1986. The Furness Rly Trust bought the Hall in 1994 and moved it to Appleby in 2007.